As is always noted at this point in the “American Idol” season, Chris Daughtry came in fourth place when he was a contestant on season five. He went on to sign a record deal about three minutes later and has gone onto megastardom, the most successful male ever to be a contestant on the show, as measured by record sales. James Durbin, one of the top contenders since the season 10 auditions began, is now hoping to follow a similar path. Durbin was the surprise elimination on Thursday’s results show, booted from the contest two weeks before the finale. It was a tearjerker of a send-off, thanks to the clips of his tangled path that got him here and the fact that he was crying as he stood waiting for his cue to sing. The only person sobbing harder was Jennifer Lopez, who’s inherited the “I can’t believe someone goes home every week!” mantle from ex-judge Paula Abdul. But while Durbin and Daughtry aren’t terribly similar as far as their vocals go, Durbin can find a model to follow by looking at what happened to the season five contestant. Daughtry had the chance to join established acts — Fuel reportedly offered him their vacant lead singer position — but instead assembled his own team to record in the studio and go on tour. He named the group after himself to maximize the value of the brand name he acquired for himself on the show, but knew that he’d have more success going in that direction rather than attempt a career as a soloist. Durbin also is better off with a band behind him, especially considering he’s likely to stick to his goal of trying to bring back the hair bands of the 1980s. Odds are very good that he’ll get that chance again as soon as the curtain drops on the finale, even though competition is over for him. Durbin’s exit means that the unsinkable Haley Reinhart made the final three, and earns the coveted hero’s welcome back to her hometown. Reinhart has gotten the most criticism of any contender this season, which isn’t a high bar considering Lauren Alaina has received little negative feedback and Scotty McCreery none. Reinhart’s struggled with her opening number in each of the last two weeks, but has come back strong both times to earn her place in the competition. Love her or hate her, it’s hard to think of an “Idol” contestant who’s fought harder. She’s gone from barely surviving to make the summer tour to one week away from the finale. And if she somehow wins this, it will be the biggest comeback in history. The happiest person onstage at the finish was Reinhart, but nobody gave a more heartfelt smile than Alaina. She was in the bottom two a week ago, but was the first singer to be informed that she was safe this week. So while everyone else had to sit through the Lady Gaga and Steven Tyler videos and Enrique Iglesias and Jordin Sparks performances, she got to relax and plan on the punishment she’d inflict on whoever shaved her dogs while she was away. McCreery, meanwhile, was onstage with Durbin at the finish. Ryan Seacrest once again did not say that McCreery was the second lowest vote-getter, much like the last time the country crooner was the last singer sent to safety. Is that an attempt to energize his vote and assure his spot in the finale? Only the “Idol” producers know. One rule change to expect for next season is the banning of beach balls. First, Seacrest fell into the crowd trying to catch one of the pink spheres used as props for Iglesias’ live performance. Clearly, the host is not a basketball player, or he’d have known to just let the ball go out of bounds rather than dive after it. A few minutes later, another ball bounded onstage as he was trying to interview the remaining contestants. He told the audience member who corralled it that they could keep it, so it’s probably on eBay as we speak. 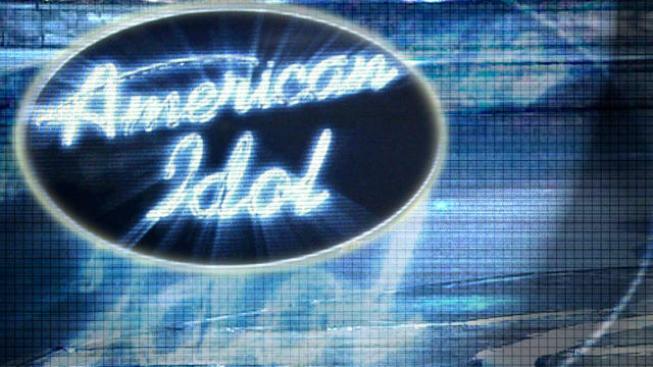 Craig Berman is TODAY.com's "American Idol" correspondent. Follow him on Twitter @CraigBerman as he live tweets each episode.